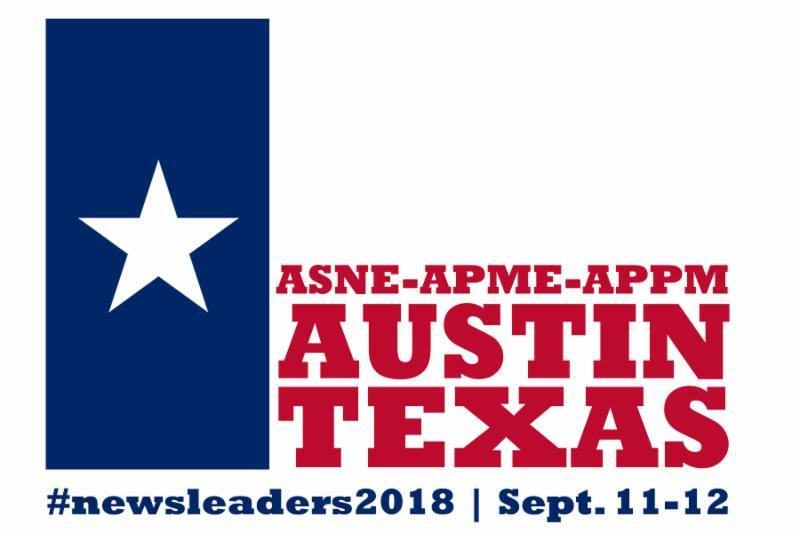 The 2018 ASNE-APME News Leadership Conference kicks off in less than eight weeks! For two full days at the AT&T Executive Education and Conference Center, we'll address the latest innovations in content and technology, leadership strategies, new business models and more. Check out the schedule and sign up now to join us Sept. 11-12! Our incentive is back! If you register and book your hotel room for at least two nights by Saturday, July 28, then you can bring a colleague for only $100. Email APME Project Assistant Laura Sellers at lsellers.newstrain@gmail.com to receive a promo code for this deal. Special rates are also available for retired members, spouses, students and APME's Regents. Lunch tickets ($40 a piece) for Tuesday, Sept. 11, and Wednesday, Sept. 12, can be purchased during registration. Five diversity scholarships available: Apply by July 27! On the hunt for a daylong workshop in DFW to discover new digital skills? Nominations needed by Aug. 3! Indianapolis Star: Black vultures are eating cows alive. But it's difficult to legally kill the birds. The Record: How segregated are New Jersey's schools and what can be done about it? LOS ANGELES (AP) - Sue Manning, an editor in the Los Angeles bureau of The Associated Press who for decades coordinated coverage of some of the nation's biggest news including the Los Angeles riots, the Northridge earthquake, the death of Michael Jackson and the O.J. Simpson saga, has died, her family said Monday. She was 71. Police officers summoned by family members who couldn't reach her found Manning dead on Sunday at her home in Glendale, California, her brother Daniel Manning told the AP. She appeared to have died in her sleep. The cause of death was not immediately known, and an autopsy was planned. Few knew her byline, which rarely appeared, but millions read the news she assigned, coordinated, edited, rewrote and flashed to the globe. "So much of the crazy, tragic, extraordinary news the world devoured about Los Angeles for so many years was written - fast and with style - by Sue behind the scenes," said Sally Buzbee, AP's executive editor who worked in Los Angeles in the early 1990s. "She was the rock - and the kind warm soul - of the place."